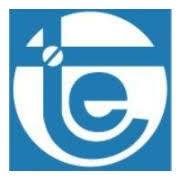 TEECL is a leading EPC services company in India’s power sector. The Company provides engineering, procurement, and construction services to all three industry segments(generation, transmission and distribution). It was engaged in setting up (in one capacity or other) over 50% of India’s thermal power generating capacity and a major portion of the national power grid. The Company also possesses specific domain knowledge that enables it to serve the EPC needs of power, steel, fertilizer, metals and petrochemicals sectors, among others. The two major business segments of the Company’s presence comprise engineering, procurement and construction (EPC) for the power sector and power generation (non-conventional). The Company is headquartered in Kolkata, West Bengal (India) with marketing offices in three Indian states. The Company employs 400 professionals (engineering, commercial, graduates and postgraduates). The engineering team possessed an average experience of more than 29 years as on March 31, 2015. They provide EPC services to all three segments of India’s power sector – generation, transmission and distribution. They are an independent renewable energy producer with 129.9 MW wind energy capacity. The Board of Directors of the Company ("Board") at their meeting held today i.e. 13th December, 2018 have, inter-alia, approved the Buy-back of up to 26,82,400 (Twenty Six Lakhs Eighty Two Thousand Four Hundred) equity shares ("Buy-back") from all the existing shareholders of the Company as on record date on a proportionate basis through the "Tender Offer" method in accordance with the provisions of Securities and Exchange Board of India (Buy-Back of Securities) Regulations, 2018 (the "Buy-back Regulations" as amended) and the Companies Act, 2013 and rules made thereunder at a price of Rs. 410/- (Rupees Four Hundred Ten Only) per equity share, aggregating to an amount of Rs. 109,97,84,000 (Rupees One Hundred Nine Crores Ninety-Seven Lakhs Eighty Four Thousand Only). The maximum shares proposed to be bought back represent 2.38% of the total paid up equity shares of the Company and the aggregate consideration for proposed buyback represent 9.10% of the aggregate of the paid up equity share capital and free reserves as per the audited financial statements of the Company for the financial year ended 31" March, 2018. *Adjusted on issues of bonus shares in the ratio of 1:1. 1. Firstly, to be eligible for the buyback the investor should have shares of Techno Electric & Engineering Buyback 2018 in demat or physical form as on the record date [03.01.2019]. 2. Once you have shares in demat, you can participate in the buyback process which is opening from [ 29.03.2019 to 11.04.2019 ] by selling your shares through your broker on NSE or BSE. 3. Then on [Not Announced Yet], the payment will be given to you for accepted shares and unaccepted shares will be returned to your demat account. “Reason for rejection : NOT IN MASTER”. Remaining share kab return dega..? Recd. Mesg saying 41 accepted against 111. As you all know, 15% of buy-back is allocated for Retail category i.e. 402,360 shares will accepted from Retail Investors, but current Tendered is more than 14lacs. So AR will be less . I got Buy-Back, Letter of Offer email, on March-22 , with entitlement-ratio of 20%, (20 out of 100 shares). Even one of my friend got similar mail on March-24..
You should place a bid with your broker immediately. If you are entitled, your bid will be considered. currently it is 20.94% acceptance ration, if any one has not apply then also maximum possibility upto 25%. So better sell remaining 75% in the open market, as per present scenario it will go down upto 230. As per the tenders by 8th April 2019 4.15pm, individual quota tenders are at around 9.7L (included retail investors). Reserved 4L shares for retail investers. So as of now AR is around 41.5%. Remember three more days to go. Let’s see approximate AR on 11th EOD. Motilal Oswal is fraud broker , they removed shares from my demat on same date of trade even before settlement should happen on T+2 days , my wife got buyback offer from reliance securities even she sold shares on same date . On enquiry Motilal said do whatever you want to do we dont care . What is the AR for general category investor here ? As per their filling management is not participating in the buyback , So only few retail investors there along with FII and DII etc . Not received any offer letter even though I had shares on record date , is there any link or site where i can check my entitlement ? At last wait is over..got lof . date 29.3.19 to 11.04.19….longest BB I have seen so far….but poor AR. Only 20%entitlement Ration. It is very poor. Anyone guess what will AR. I think Ur buying price is very good as a Retail. I am sorry. I should have clarified that the entitlement ratio is 206/981. Dear Prasad, I am wondering that 206/981, as per record date price 981 shares worth is more than 2L rupees. I got offer for 125 out of holding 600 (ER is 20.8%). Based on the numbers you mentioned for yours is also around 20.9% ER. 206/981 (= 21 %) is the entitlement ratio, not my entitlement. You can see page 28 of the offer letter. I have only 225 shares and got an entitlement of 47 shares. How can you chek your offer qty?? Boom… Boom…. It is running Rs 262+ per share. Is there any news or anything which leads this sudden change? Is Their any News come regarding Buyback.? Price Jump almost 6% in Last 5 mint of Trade. I think there was some insider who got the news earlier. Any update on its buyback dates…almost 2.5 month past after record date….what is max limit..
Nearly 2 months have passed after the record date …. Techno ka buyback kab he? Why techno not send offer letter still?? Or techno b kya larsen ki tarah cancel karega buyback?? Appreciate if someone can update number of retail share holders and number of shares held by them as on closing of record date?? Just wait for Letter of Offer to come. One month over after record date. No further update yet. Any one have any idea? When will be the dates for BuyBack. Please update. I think it will announce on the date of Q3 result i.e. 9th Feb 2019. What will be the acceptance ratio? Do you noticed the number of shareholders after Record Date I.e. after 3rd January? Do they crossed 15000 or below? Not sure why company is having this much footage after declaring Record Date, and I believe they announced Results too. No info on actual buyback, it’s surprising and annoying too. Today I bought some Share of this stock. 2 Jan Ex date, 3 Jan Record date, is those share are eligible for buyback? Pls ans Market Wizard. Final Letter of offer was issued on 13.03.2017( This letter provides the final number of shareholders under retail quota as on record date.). However, final Acceptance ratio was close to 50% because till the buyback closes on 31.03.2017 , the price of share was close to 400, so many people would have sold shares in the open market and not have tenderd shares in the buyuback thereby imprving AR. In 2018, the Price difference between Current Market Price and Buyback price is huge. So lot of people will participate in the buyback. So unless price moves significanlty towads the buyback price the chances of high AR is low. Hopes it clears to everyone. Happy Investing . Happy Christmas to all Fellow Board members. Hope New year bring joy to all of us. should we participate in it. What is the last day to buy shares of this company to get entitlement? As 1st Jan is a bank holiday but the exchanges will be operating? Is it safe to invest in this Buyback at this stage? Liquidity is less in Techno Electric. Moreover, you can’t do intraday trading in the shares as it is under BE category of shares. The movement in share price is quite erratic. However, if you can take the risk than you can take a position. The risk is more here. Disclaimer: I have done investment in this share. Is it worth participating in buyback. Are any trap is built in ? Sir whats ur view on IEX buycack. Just wait for the buyback to announce. To save dividend distribution tax companies are coming with buyback. Retail investers should be cautious before entering in any stock only for buyback purpose. But Sir, the Promoters are not participating in the buyback, so the point of saving DDT is not valid here. The board fixed JANUARY 3 as the RECORD DATE for determining the members of the company who are eligible to participate in the buyback. From where do you get the information? So on that basis, the Acceptance Ratio could be 22%. The stock is opening at UC. The company got amalgamated with Simran Wind Power Energy on 25 July 2018 and after amalgamation got listed on NSE on 04.12.2018. 1. 1963-Started operations as an EPC player. 2. 1980 – Announced IPO of 20 lakhs through a public listing of the Company. 3. 1990 -Forayed into the Power Transmission and Distribution (T&D) segment. 4. 2009- Undertook wind power generation through 95.45 MW acquisition. 5. 2010– Engaged in Transmission BOOT projects via a PPP contract for a 400/220 kV, 2,400 MVA (105-km long) transmission link at Jhajjar for the Haryana Vidyut Prasaran Nigam Limited. 6. 2017– Sold 33 MW of wind power capacity Bagged a concession for 400/220 kV, 2 x 500 MVA substation at New Kohima, Nagaland, under Transmission System for North Eastern Region Strengthening Scheme (NRESS-VI). Mutual funds and FIIs have more than 24% holding in this company. The good upside of more than 40% from CMP. It show not trading for last 30 days in money control….? Buy-back. The Buy-back of/er does not require the approval of the shareholders of the Company.